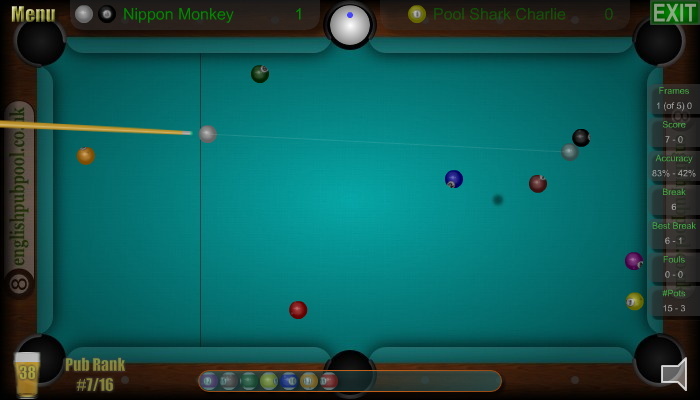 Random Potting is one of the best pool game challenges. The challenge is very simple, all you have to do is pot as many balls as you can with only 5 lives. 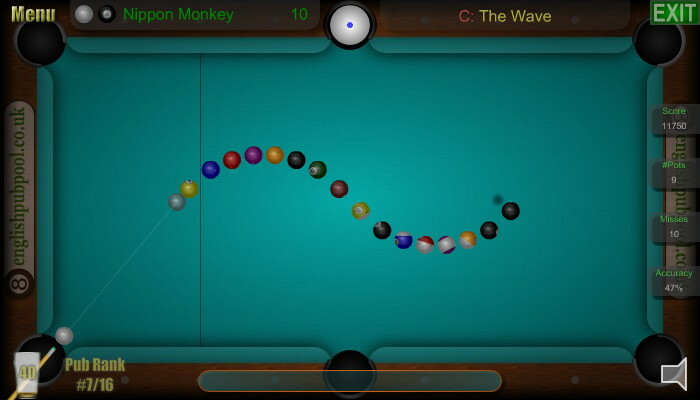 Every time you miss a pot you lose a life, but if you pot the 8-ball you get a bonus life. The best players can get scores into the hundreds! If you like the Random Potting challenge, then you should try the 3-Ball challenge, it is similar to the Random Potting challenge but with only 3 target balls on the table at any time. After potting one of the 3-balls, another ball is randomly added to the table and the game goes on until you lose your 5 lives.